Welcome to the Atomic Sim Racing Championship Season 4 Round 7. It's all ASRer's patriotic Australia Day duty to participate in this round. Apologies for absences of late, but agree this is a special track on a special weekend. Will pull out the stops. Here's to the 4 minute lap! Did a couple of test laps last night and found out this car actually has 6 gears! The draft down conrod could be interesting. Hi guys. Looks to be the evening for connection issues. 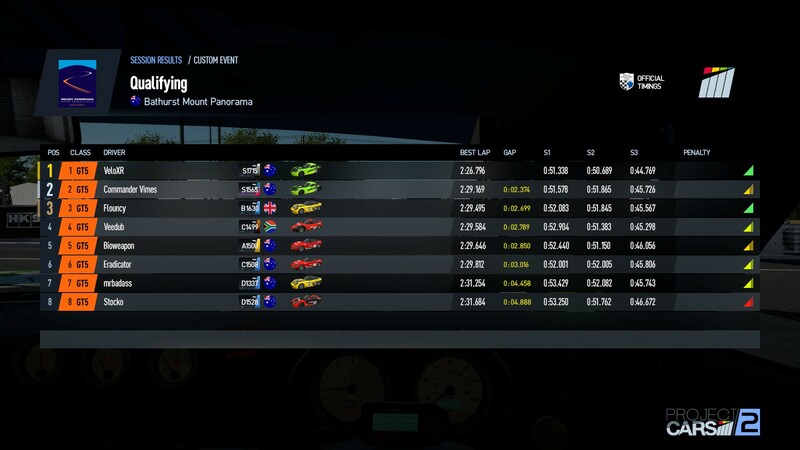 My internet dropped halfway through race 2 . I bought a bit of wall in the cutting early in the race & stuffed up my suspension, so no big loss. 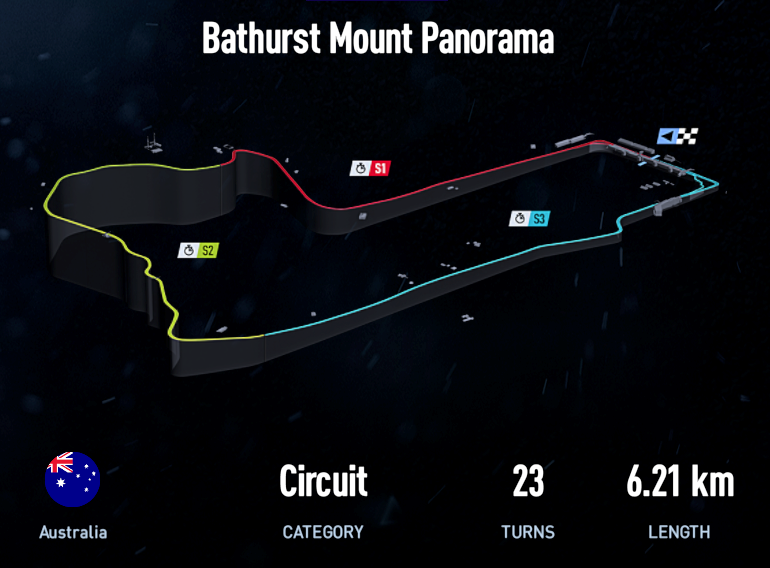 Although I was having fun every lap coming down the mountain with wobbly suspension Good racing as always. See you all next week. 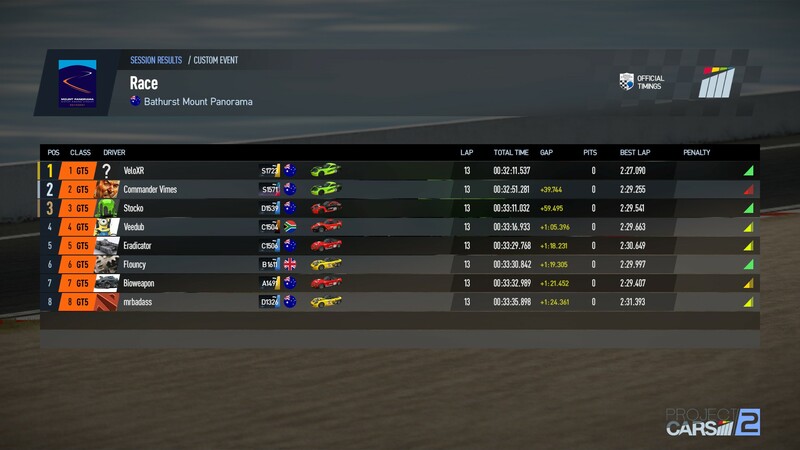 I definitely came 4th in the 2nd race. I'm glad the screencap reflects this. I will need to review the replay for the results. 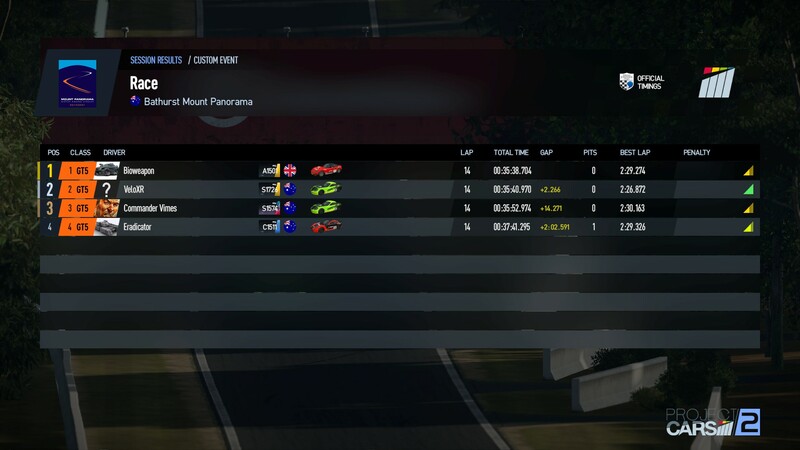 It appears some drivers exited the session before the results were shown. Yup, results were probs waiting for me to cross the line. I pitted after an incident. Almost went a lap down. The race was won as I was starting my final lap. Everyone said great race and bailed. Sorry Mark if I did that, I try and make a point to always stay til it's over, dunno musn't have been thinking straight on Sun. 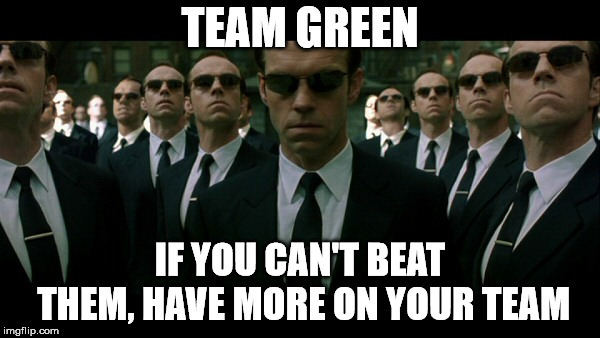 There is only 1 point separating Team Green and Team Red. Team Gold is only 13 points adrift. Looks like it will be a close one. No incident reviews were submitted. No additional changes to the results. Lambo could you please update the round results as per my previous post here when you get a chance.